The first thing that pops into your mind might be “why BETT?” What makes it so special? Well, besides the fact that it is one of the few shows in the world that lays special emphasis on educational technology innovation, it is foremost about the huge global education community they bring together every year. BETT really enables them to find inspiration on how to transform and enrich their classrooms from upper secondary to university, by showing the newest technology solutions for schools. 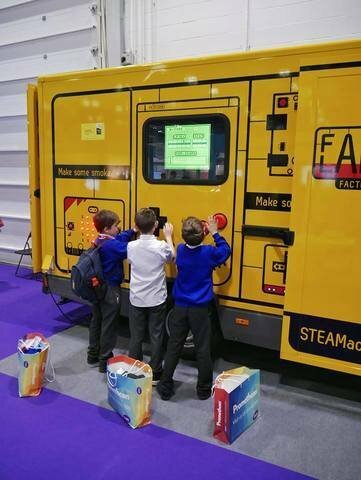 We were keen to be seen as part of the BETT STEAM village. A dedicated zone that allows Science, Technology, Engineering, Art and Mathematics to shine. An area of inspiration for educators, techies and students that allows them to get hands on and develop skills by using a “learning through play” approach. With our mobile FabLab, we pretty much have the same vision. 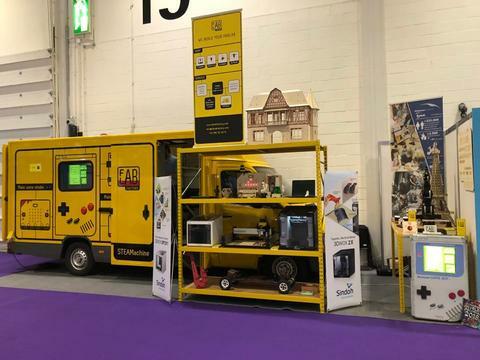 By bringing a small mobile FabLab to schools, we are able to provide all the basic tools and equipment to create a rich learning environment and enable the students to become the next generation of makers. 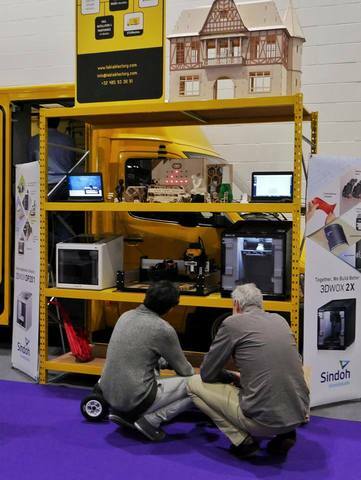 Our mobile Fablab aka STEAMachine was a hot topic and seen as a good example by educators we have spoken to. We had the chance to talk with all different kind of people, from students to teachers to school leaders, that literally came from all over the world. A lot of European countries for sure, but also India, Lebanon, China, Dubai, UAE, Australia and many more. It was great to meet enthusiastic people and to share our vision with them! A lot of these people were fascinated to hear about our plans to implement small makerspaces into libraries. They have inspired us with more ideas, and we really look forward to start rolling out these FabLibs within the next weeks and months! So, what a great show it has been! 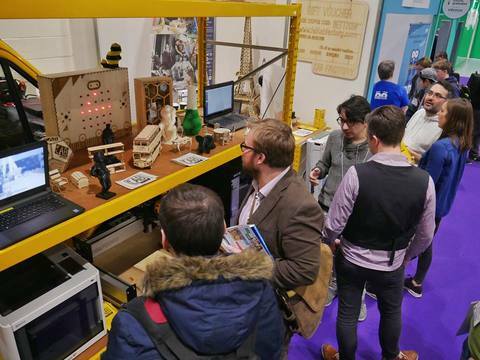 A buzzing atmosphere, but most of all powerful conversations into what the future of the education holds and how makerspaces make up a big part of this future. See you next year @BETT!